As noted by The Next Web, VirnetX claims Apple's FaceTime infringes on its VPN patents, an assertion that a federal jury in Texas agreed with earlier this week when it ordered Apple to pay $368 million in damages. According to court documents from the U.S. District Court for the Eastern District of Texas, VirnetX filed the new complaint on the same day it won the favorable jury decision. The most recent lawsuit takes aim at those Apple products which were not included in the previous suit due to their release dates, and include the iPhone 5, fourth-generation iPad, iPad mini, fifth-generation iPod touch and the "latest Macintosh computers." VirnetX is going after all Apple devices with FaceTime capabilities. The same four VPN-related patents used in the previous suit are being leveraged in the new complaint, specifically U.S. Patent Nos. 6,502,135, 7,418,504, 7,921,211 and 7,490,151. VirnetX is looking to force a preliminary injunction against the alleged infringing Apple devices as well as damages related to their sale. 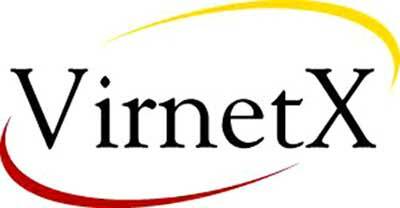 In 2010, Microsoft was ordered to pay VirnetX $200 million for violating two similar VPN patents, and the holdings firm is in the midst of ongoing litigation against Cisco Systems, Astra Technologies, and NEC Corporation.